DNA specialists say it is possible to resurrect the heath hen. 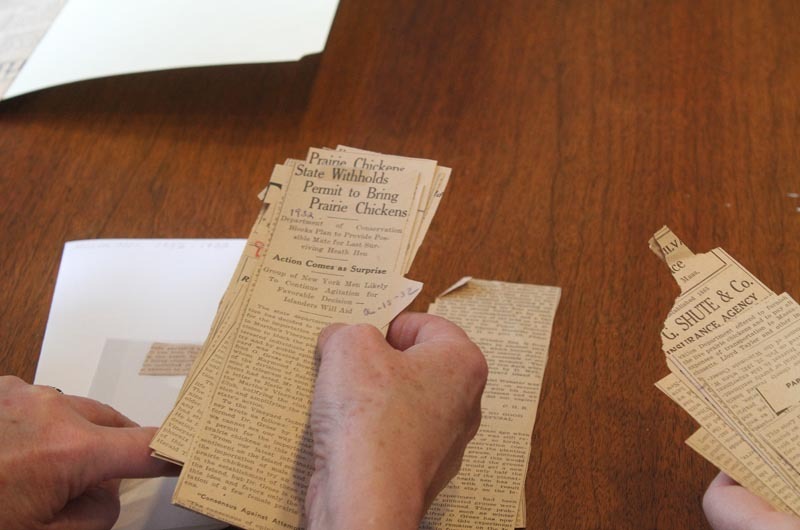 The last heath hen died on Martha’s Vineyard in 1932. Despite an Islandwide effort to save the last living member of this species, a 10-year-old male nicknamed Booming Ben, the Vineyard became the reluctant host of an extinction. “There is no survivor, there is no future, there is no life to be recreated in this form again,” Vineyard Gazette editor Henry Beetle Hough wrote in a 1933 editorial. But in the 80 years since, scientific advances Mr. Hough could not have foreseen have blurred the finality of extinction. Martha’s Vineyard could now be the site of a resurrection. 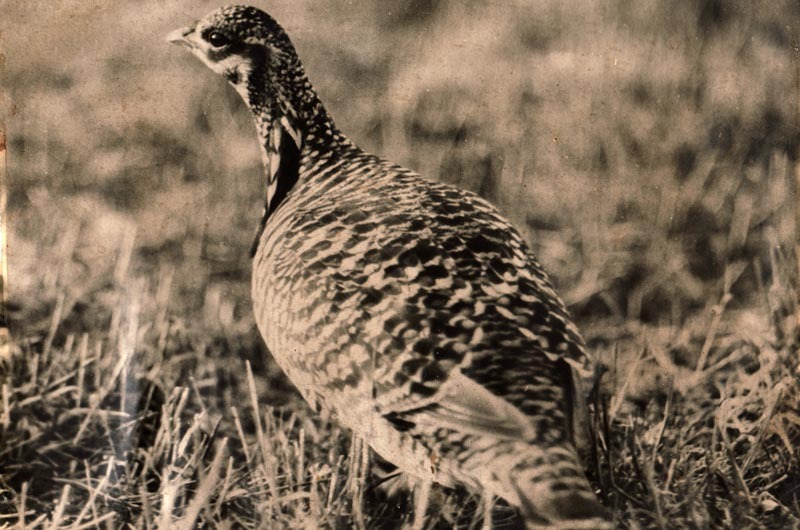 The heath hen is currently being proposed as a possibility for de-extinction by Revive & Restore, an organization that aims to coordinate projects that use genetics to rescue endangered and extinct species. Mr. Brand and Revive & Restore executive director Ryan Phelan were on the Island last weekend to meet with Island leaders and members of the conservation community to discuss a potential heath hen revival project and gauge local interest. 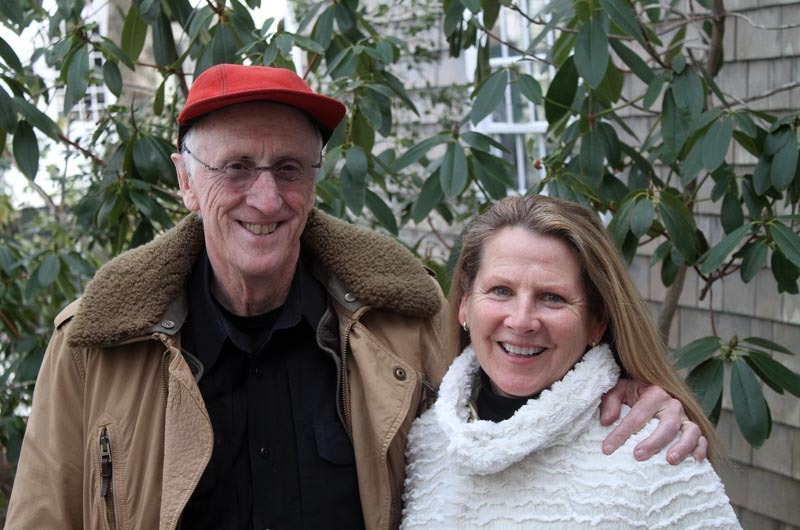 The heath hen de-extinction effort, Ms. Phelan and Mr. Brand emphasize, is in the early stages and the conversation is just beginning. Even if the science is there — and they say it is — the project would require community support and it would unfold over decades. The revival would touch on issues and questions that are scientific, ecological, political, cultural, economic and historical. Revive & Restore is also working on the de-extinction of the passenger pigeon (extinct in 1914) and possibly the woolly mammoth (extinct about 4,000 years ago), among other animals. Bringing back the heath hen, they said, could make the Vineyard a trailblazer while reviving a much-mourned bird. Revive & Restore is a non-profit project within The Long Now Foundation. It was co-founded by Ms. Phelan and Mr. Brand. Ms. Phelan, the executive director, has a background in genetics, including founding DNA Direct, and was the co-founder of the ALL Species Foundation. Mr. Brand, an author and ecologist, created and edited the Whole Earth Catalog. The couple is married and live in northern California. Mr. Brand and Ms. Phelan are joined in the heath hen effort by Susan Johnson Banta, who met Ms. Phelan and Mr. Brand at a party near San Francisco last summer. “I had no idea this was going on in the world, that people were working on de-extinction, and it sounded a little bit out there to me, to be honest,” she said. Ms. Johnson Banta has been visiting the Vineyard for at least 40 years and she offered to feel out Vineyard sentiment on the project. “It started this conversation which has just mushroomed along with my interest, and has brought us here today,” she said. Ms. Johnson Banta serves as a community development consultant for the heath hen project. She said the Vineyard response has been overwhelmingly positive. 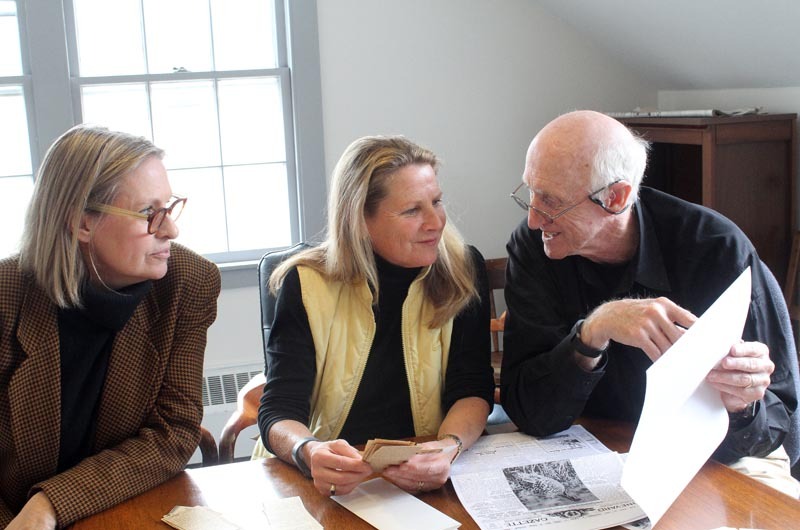 Oak Bluffs seasonal residents Peter and Gwen Norton are major donors to Revive & Restore. They hosted Mr. Brand and Ms. Phelan last weekend. The heath hen, Tympanuchus Cupido Cupido, was once abundant on the East Coast. Hunting severely diminished the population, and in the 1800s heath hens mostly disappeared from the mainland, coming to exist only on Martha’s Vineyard. The Vineyard population went up and then down, aided in decline by man, fire and cats, according to the Gazette archives. There were efforts to save the species, including a discussion about bringing in greater prairie chickens to mate with the heath hens, an idea that was never brought to fruition. Acres of land in the middle of the Island were preserved for the heath hen, which eventually became the Manuel F. Correllus State Forest. Despite this, the population dwindled to unsustainable numbers. In the 1920s and 1930s, the heath hen “may have been starting into what they call the extinction vortex,” Mr. Brand said, which is the genetic bottlenecking that occurs when inbreeding is increasingly an issue from generation to generation. Mr. 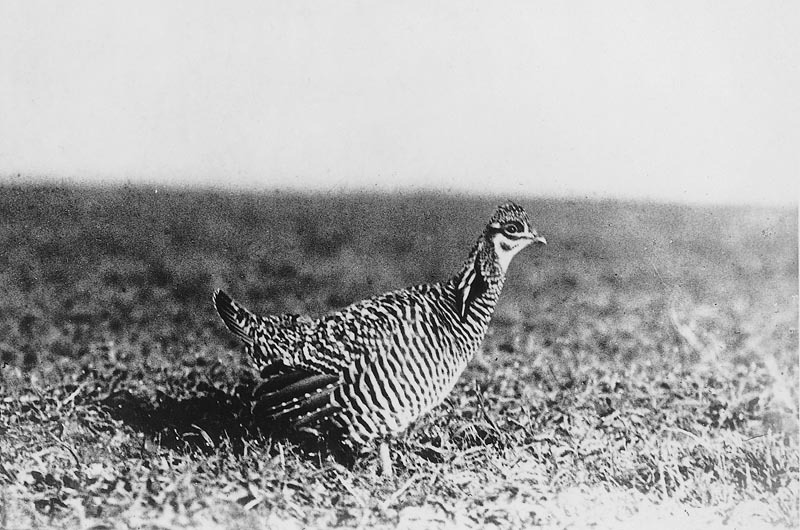 Brand said the heath hen was one of the major extinction stories in the United States. Revive & Restore started looking at de-extinction because “that’s where the technology’s been pushed,” Ms. Phelan said. The group is also working with conservation groups to see how genetics can help endangered species. For example, the heath hens’ “extinction vortex” caused by inbreeding could have been prevented by genetic technology. Conservation efforts have also grown since the era when the heath hen and passenger pigeon went extinct, Ms. Phelan said. “There have been well over dozens of very successful reintroductions, especially of birds and especially on islands,” she said. Conservation advances coupled with rapid advances in genomic engineering and genome sequencing mean “you could potentially take a greater prairie chicken and start to adapt it genetically to look more and more like the heath hen and ultimately, potentially, be a heath hen,” Ms. Phelan said. The scientific key to de-extinction is what scientists call “ancient DNA” taken from museum specimens. The best bird DNA can come from toe pads. Mr. Brand said that to date the oldest fossil with readable DNA was a horse found well-frozen in Alaska. It was 700,000 years old. Ms. Phelan compared this type of DNA to a printed book with some sentences or letters missing. To fill in the missing parts, scientists would work with a closely-related species, with the living species providing the DNA framework. In the case of the heath hen, this would involve perhaps a chicken or greater prairie chicken. The heath hen is an especially good prospect because it seems to be closely related to the greater prairie chicken. Existing genetic analysis of the heath hen is nearly 10 years old, and science advances quickly. The previous analysis was at the mitochondrial level, Mr. Brand said, and scientists now can look at nuclear DNA. To progress from ancient DNA to a live heath hen, scientists start with an existing bird. The process would use state-of-the-art technology and work with primordial germ cells. The goal is to have a viable population of the birds that can flock, socialize, and, of course, produce more heath hens. While there is no developed plan, Ms. Phelan said the process could start with bringing prairie chickens to a nearby area — perhaps the mainland, another island, or a small captive breeding facility — and adapting them to an Island environment. The small islands surrounding the Vineyard could be a starting point. “You wouldn’t want to go to the expense of doing any of this genetic work unless you knew you had an established surrogate population,” Ms. Phelan said. The Vineyard and surrounding islands also have a geographic advantage. “Island conservation is the place where restoration is really happening,” Ms. Phelan said. “Islands are where evolution was basically discovered back to Darwin,” Mr. Brand added. In New Zealand, several small islands were used as refuges for the greatly endangered black robin, which grew from a population of two to make a recovery. Beyond the scientific and practical aspects, there are a cascade of other questions, Ms. Phelan said, which will have to be discussed. One of the requirements for bringing back a species, Ms. Phelan said, is that there is still a habitat there. “Is there habitat, are you going to displace something that’s already been there, has the pheasant that was introduced here now prevailed, is there something you’re going to take away that niche for?” Ms. Phelan said. These questions and others are being brought to Island conservation leaders and other stakeholders, and the Vineyard community. A panel discussion is planned for July 24 at the Agricultural Hall, where Mr. Brand and Ms. Phelan and other scientists will speak. They said they plan to talk about de-extinction work as a whole, and they will take their cues from the Island. If it turns out nobody wants to bring back the heath hen, they said, they won’t. “By the way, that’s not how the conversation is going,” Mr. Brand said. The heath hen project would require interest and leadership on the Island, “someone who wants to carry the ball on this,” Mr. Brand said. “What are all the benefits? What are the risks? How do you mitigate risks?” Ms. Phelan said. Mother Nature made it extinct for a reason. This is were "mad" scientist gets a little weird. I rather see medical advances for diseases instead resurrecting a dead animal. Actually it wasnt the mother that "made" it extinct, it was the offspring of Mother Nature and and Father Time, Human Idiot. Hurrah - Hurrah - at some common sense from someone! & just where would said resurrected grouse be reintroduced ? Mother Nature didn't make the Heath Hen extinct. It was the work of your ilk. People who don't want to take responsibility for their actions, or for the irrational actions of those of came before. And you should be afraid of disease - it is nature's wrath. Bring it back. It's bound to happen. Let's be the first. As long as it doesn't disturb the current Eco system (which it seems it won't). Better rid the island of skunks first, or the hen will have little chance. Heard a whippoorwill lately? skunks love the eggs of ground nesters. I thought I read somewhere (Chilmark library, in the 1970's?) that the heath hen's habitat was the plains that used to be on the south side of the Island along the Great Ponds - back when lightning-sparked fires would burn across them periodically. Once the fires were stopped, the habitat shrank dramatically. Would love to hear the thoughts of some Felix Neck people on this topic, and the heath hen topic generally. How, starting with one bird, could the species climb back out of the "extinction vortex?" Good question; easy answer. There are many specimens of the heath hen in museums and elsewhere. You would start with the DNA from many birds, hence the extinction vortex is finessed from the start. I find this a very exciting prospect. Over hunting the birds, to my understanding, is what mostly contributed to their extinction. I also believe some conservationists, burning leaves, started the fire that wind swept across the south-side of the island, when the birds were nesting, really led to their downfall. reportedly, they were making a good comeback here on the island up until that point.I would like to see this project take off as soon as possible. I think the State Forest was originally set aside to protect the Heath Hen, and it is still there waiting for something positive to be done with it... wouldn't it be great to hear the booming again. Exactly - and that's a great reminder to folks out there - the State Forest was set aside SPECIFICALLY for the conservation and protection of this species. By all means, bring the Heath Hen back, and undo the horrible mistake of letting this animal go extinct in the first place. We caused it's extinction, we are responsible for bringing it back. And to the health folks out there, remember the tick epidemic here on the Island didn't occur until decades after the Heath Hen was extinct. Guess what Heath Hens eat - ticks. This could be a natural, economical, and mutually beneficial method of controlling tick-born illnesses. The real issue is, who's going to pay for it, as it sounds like the Revive folks aren't interested in flipping the bill. The Vineyard is home to more millionaires per square mile than just about any place on the eastern seaboard, so here's the best "wallet" for them to look it. Maybe some grant/state/federal dollars could be used to help this effort. The implications for other species are great as well. As a leader in numerous causes and discoveries over the centuries, the people of Massachusetts have demonstrated that they are willing to step up and lead. The Vineyard could be the first place where a species that was made extinct by man-made causes is "revived" and returned to nature after extinction. The first place in the world; the first time any species has ever been brought back. "Jurassic Park" made real right here on the Vineyard. Go for it! Dan, Do (Did?) they eat deer ticks? Or wood ticks? Or both? My understanding, perhaps limited or faulty, was that they ate the wood ticks--not that wood ticks don't have some disease issues as well. This is Frankenstein science of resurrecting the dead. It is not natural. It starts with a bird then next a person? Very unnatural not ECO!! Frankenstein science? Hardly. Now GMO...that is another story! Fantastic! How about a few more protected birds like the Piping Plovers RIGHT then we really wont be able to use any of the island! You people are nuts! Do it, so people will... hunt it again. Somewhere on the great plain of Martha’s Vineyard death and the heath hen have met.